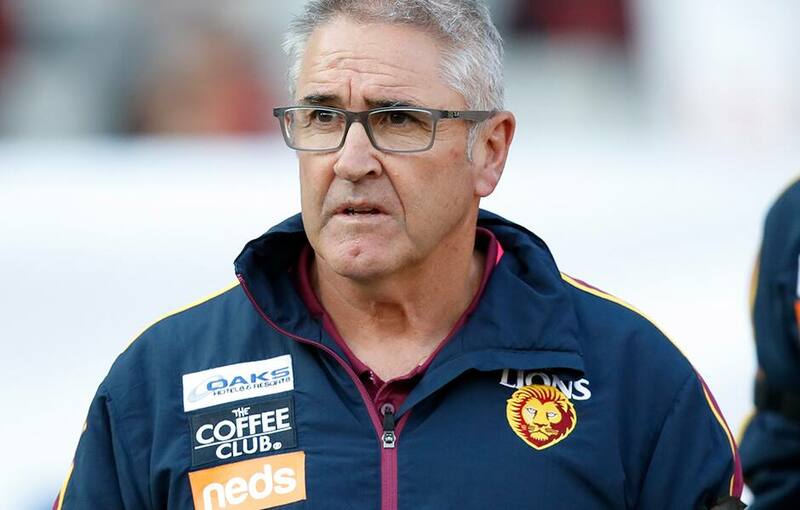 A pragmatic Chris Fagan believes the Brisbane Lions' disappointing first-half performance against Essendon will act as a reality check for his exciting, but still developing Lions group. Brisbane was completely overwhelmed by a dominant Essendon outfit on Saturday, with its undefeated start to the season coming to an end. The Bombers led by 49 points at the main change, before holding off a mini-revival in the second half to claim a comfortable victory and resign the Lions to their first loss of the year. But Fagan suggested the result was reflective of his side's standing, claiming his inexperienced team was intimidated by the atmosphere and put back in its place. "We're not that great yet," Fagan said after the game. "We've been sitting down near the bottom of the ladder for two years. We just happened to win three games in a row to start the year off, so everybody gets excited. "We've still got lots of challenges ahead of us and more improvement to make. Today was a great experience in that regard because there's a big, hostile crowd and it was very strongly weighted towards Essendon. They came out and started well and it was a bit intimidating. "We'll lick our wounds, go away and learn and we've got to bounce back pretty quickly for Thursday. We're disappointed, but I'm pragmatic about it too." The Lions had looked the form team of the competition through the first three weeks, upsetting the odds to claim exciting wins over West Coast, North Melbourne and Port Adelaide. But the Lions coach stressed his team never got ahead of itself, despite entering its clash with the Bombers as one of just two undefeated teams. "I didn't detect that," Fagan said. "You always fight that and we've talked about it a lot as a group. But I wouldn't use that as an excuse today. "We should pay tribute to the fact Essendon was fired up, on the job and ready to go. They obviously got a lot of confidence out of their win last Friday night and they put us to the sword early." The Lions were outgunned by a dominant Essendon side in the first half, with the Bombers kicking 11 goals to three at half time to virtually end the match as a contest. The performance shocked Fagan, who revealed he didn't see it coming. "All the things we planned to do, we didn't do very well," Fagan said. "We didn't win contested ball, we didn't pressure them very well and when they won the ball in their back half, they were able to get fast transition goals. "We were just a bit off. We can't work out why, we didn't notice it during the week. "We made them look really quick – and they are a really quick side – but our reaction time wasn't great either. That was the story of the first half, they were able to win the contested ball and transition the ball too easily."